Before I talk about how this soup tastes, I want to assure you that the texture won’t disappoint. The fiber-rich cauliflower and artichokes give it a rich texture, even without the coconut milk. It’s perfect as a meal or for your next round of meal prep! This is also the perfect recipe for those of you who are braving the Whole30. I tried that once. It ended up being more like the Whole 27 because I broke down and went hog-wild on a bunch of samples at Costco one afternoon. I just couldn’t take it anymore! I learned from that experience, that dairy isn’t my friend. When I have more than just a dollop of cream in my coffee, it makes me cranky and want to nap. I learned the same thing about grains. They’re just not my jam. While I do see a lot of benefits to doing a Whole 30, I will say, I don’t think it’s for everyone. If you’re someone who gets even a little obsessive about food or starts to crave the very thing you’ve promised to restrict for a month, then it’s probably not your best option. I think for every person that this protocol has worked for, there’s equally as many who have lost their mind trying to follow it. For me, following a much loser guideline is much more sustainable and less crazy-making. I like paleo for the most part, although I do love me some creamer in my coffee and an occasional bite of cheese. 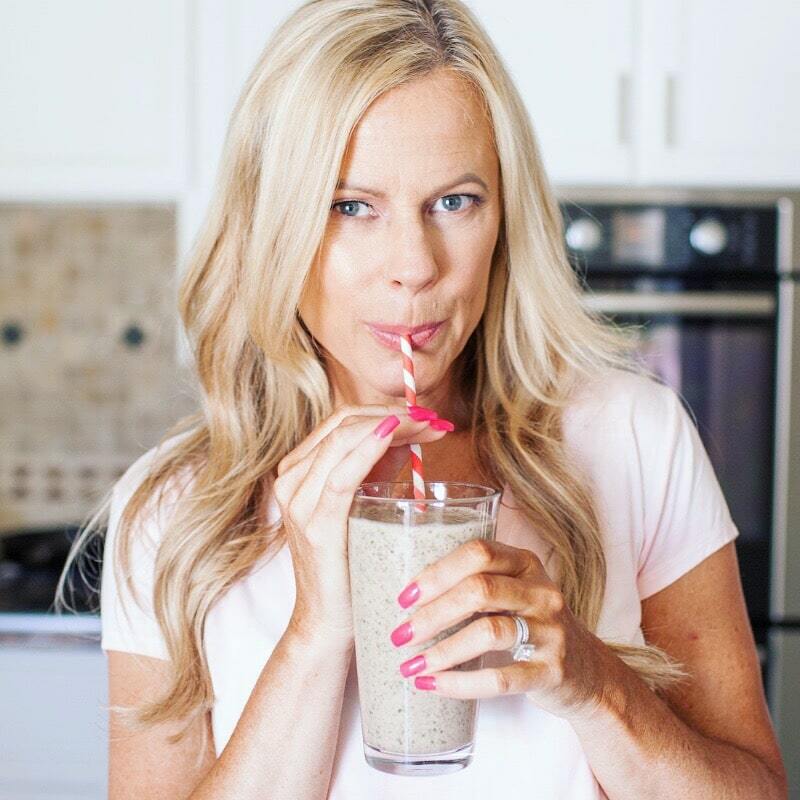 I would say my food philosophy is more “NSNG” or in lay terms – no sugars, no grains. It’s simple, broad enough that I can work with it anywhere, and yet captures the things I need to stay away from most. What about you? Have you found a way of eating that works for you? Or do you not even think about guidelines and restrictions? 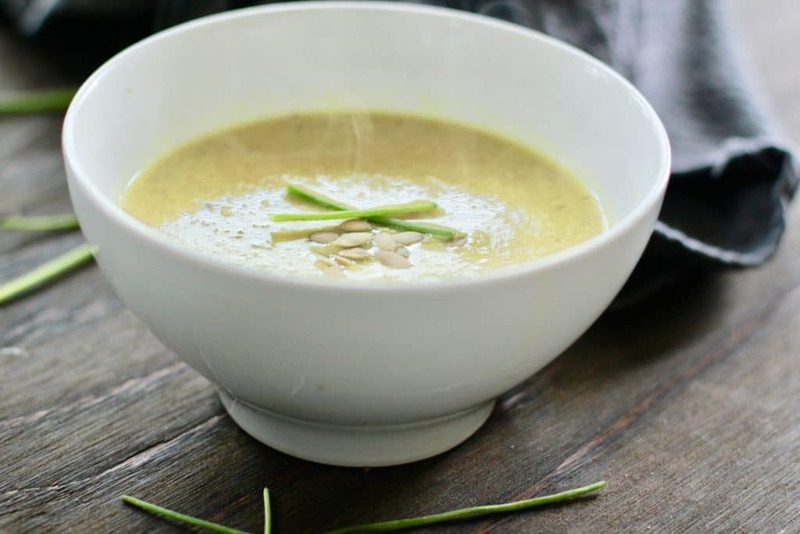 A creamy, rich soup that's packed with fiber and detoxifying ingredients. Put the coconut oil and chopped onion in a pot over medium heat. cook until onions are translucent. 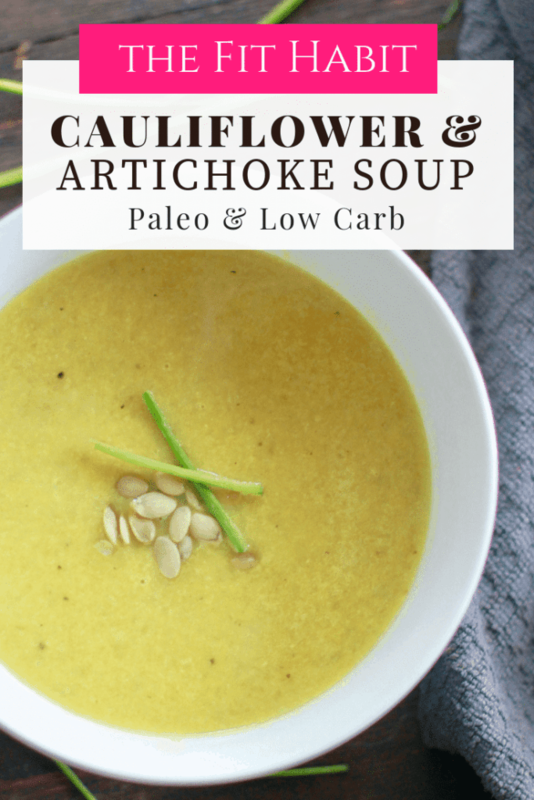 Add artichokes and cauliflower rice. Stir well and let cook for 5 to 7 minutes. Add apple cider vinager, coconut aminos, lemon juice and veggie stock. Bring to a quick boil, then immediately reduce heat. Garnish with fresh basil or pepitas! I love the sound of this soup. 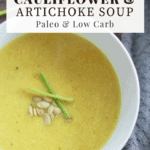 I’m a big fan of cauliflower and artichokes hearts. Plus I just so happened to buy a jar of artichokes bigger than my head, so this soup will come in handy. PS love the technical recipe terminology. Poke it with a fork to ensure its soft. Oh my.